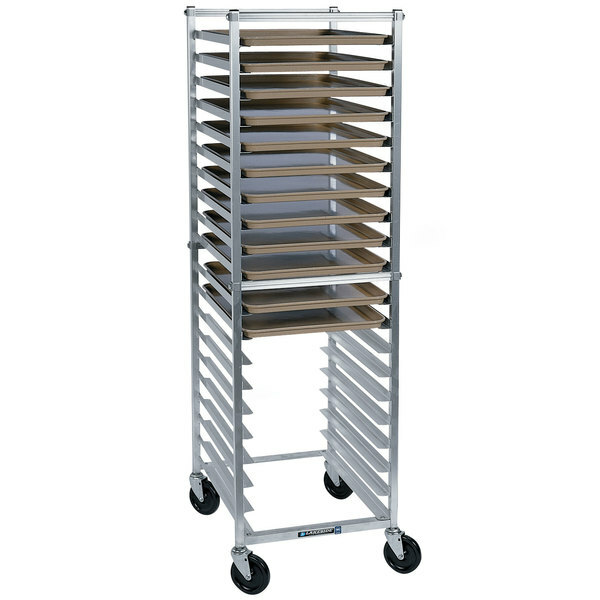 This Lakeside 8567 end load aluminum bun pan rack is a great choice for pan storage in bakeries, hotels, and schools. It ships unassembled to save you money on shipping and features an economical yet sturdy aluminum construction. The continuous welded ledges provide durability and the ledge side panels bolt into the cross braces for added stability. Made with a high-tensile extruded alloy, this rack is rust-proof, strong, and reliable. 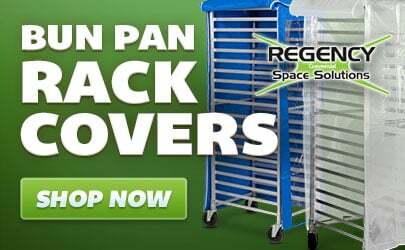 This bun pan rack includes four 5" stem mount swivel casters for superb mobility and maneuverability. The 1 1/2" angle ledges support both full and half size pans, and the angle ledge design is especially advantageous if your pans vary from the standard 18" size. The ledges are spaced 3" apart to provide maximum storage space. This rack can hold up to 20 full size pans or 40 half size pans.